What’s so special about Harry and Megan’s big day? May 19, 2018 will go down in modern history as “special” day. It’s a Royal Wedding. The groom is Prince Henry of Wales, younger brother to Prince William the Duke of Cambridge, the second child born to Queen Elizabeth’s eldest son and heir, Charles, Prince of Wales. Prince Willian has three children who are higher up the cue for the throne than William’s younger brother Henry, so Prince Harry (as he is affectionately known) is sixth in line. In other words, it ain’t gonna happen. Thirty-three year old Harry is marrying a “commoner”, Megan Markle, a divorced 36 year-old born in Los Angeles. What a scandal. Or at least, what “used” to be a scandal. On December 11, 1936, King Edward VIII abdicated the English throne when he chose to marry Wallis Warfield Simpson, a twice divorced American from Baltilmore. Wallace actually walked out on her second husband Ernest Simpson, divorcing him so she could marry King Edward VIII. This caused a constitutional crisis, as King Edward was marrying a woman who still had two living (ex) husbands. To avoid the crisis, King Edward stepped down from the throne while his younger brother acceded to the throne, becoming King George VI. If Prince Harry doesn’t have a snowball’s chance in Hades to becoming King, then what’s the big deal about this Big Day? Why do we even care? It’s all about celebrity, fantasy and living happily ever after. Every second Disney movie is about some sort of Prince Charming falling in love with a common girl from the market. Snow White, Cinderella, Beauty and the Beast, Frozen, just to name a few. Modern day parallels include Pretty Woman, where uber-rich Richard Gere falls in love with Julia Roberts the street prostitute. Richard Gere also played the Officer who became a Gentleman when he literally swept his factory worker “boot camp fling” Debra Winger off her feet and then just as literally carried her off into the Pacific Northwest sunset. These story lines are ingrained in our socio-romantic psyche because they are not fairy tales, nor are they far-fetched. Virtually every culture has fables about princess marrying commoners, where the princess turn their backs on fame, power and wealth to follow their hearts. They do it for love. Seven years ago, a global audience of 3 billion people watched Prince William take his vows with his princess Kate on April 29, 2011. From that day on, William and Kate have had to be “on their A game” virtually 24/7, hounded by paparazzi, subject to rumor and innuendo, where every new hat Kate wears becomes a fashion statement. Prince Harry and his new bride Megan won’t match that record viewing audience, and we should be happy for them. 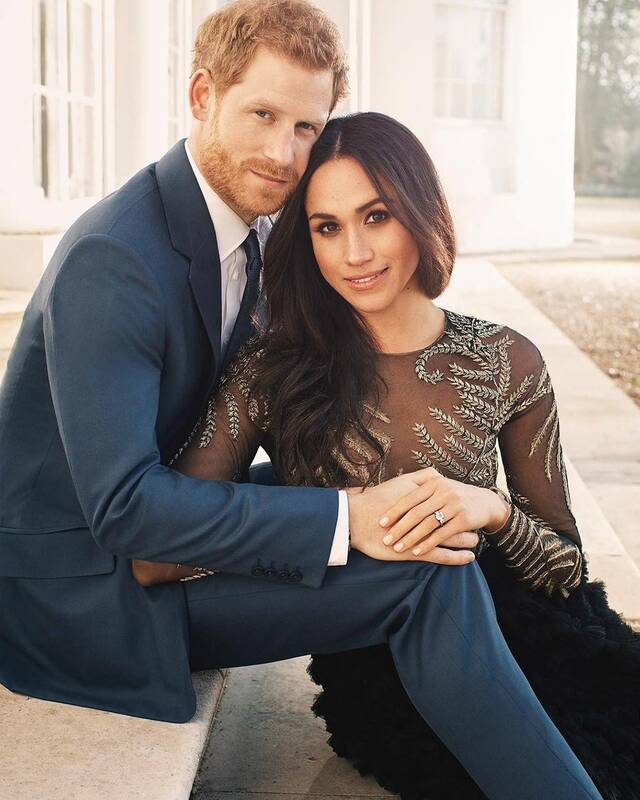 The newest royal couple are going to be able to live a much different life. An unscrutinized life. A normal life. Yet there will still be hundreds of millions of people who will tune into the ceremony from every corner of the globe, many waking up in the middle of the night to watch two people they’ve barely ever heard of, that they couldn’t have picked out in a crowd two years ago, that they know virtually nothing about. It’s because Harry and Megan fulfill our fantasy. This wedding is about a prince charming who finds his princess. It’s what we all dream about, and therefore it’s something we should all care about.